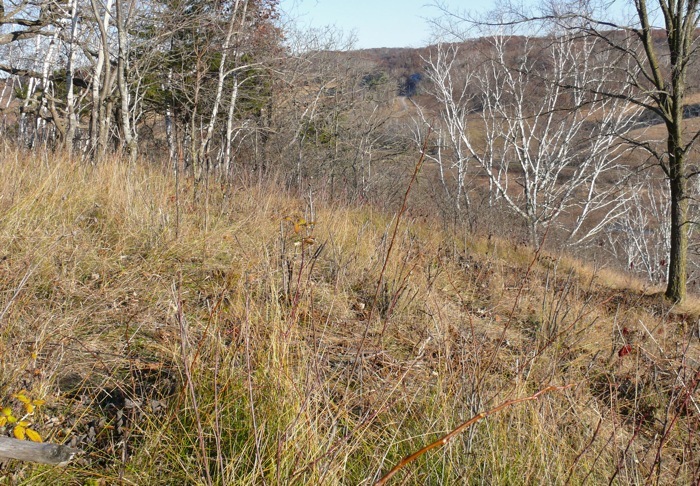 This year I did some more cutting in the savanna area on top, at the east end, and more cutting of sumac and raspberries on the face of the hill, also on the east end. This was all hand work, but now that we know it works, it seems worth doing even though it’s a slow process. 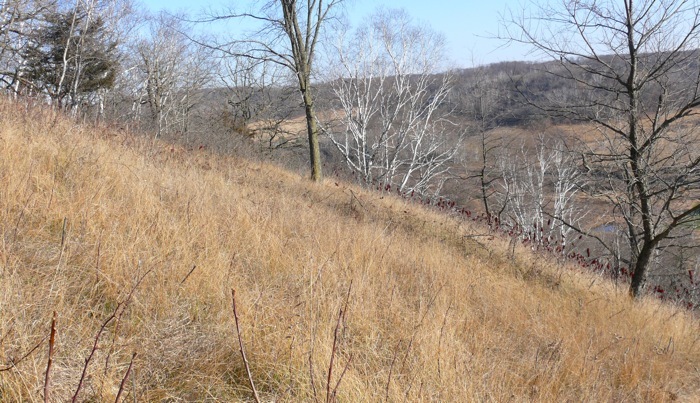 2/23/2009 – A view farther down the hill. 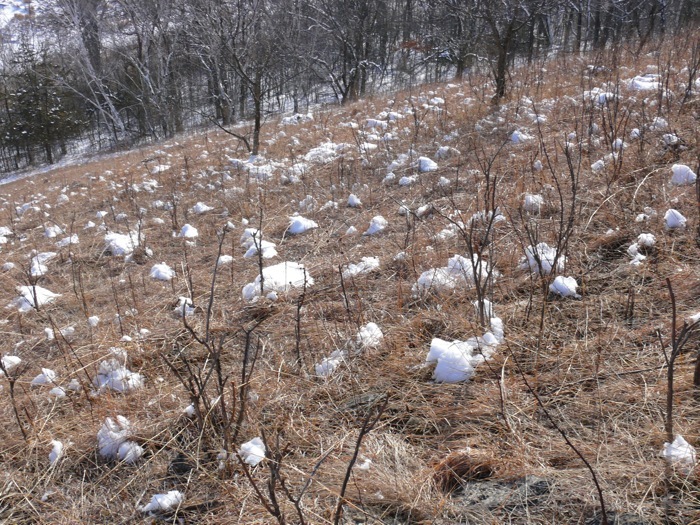 The snow was just melting and the prairie was a field of snowballs. 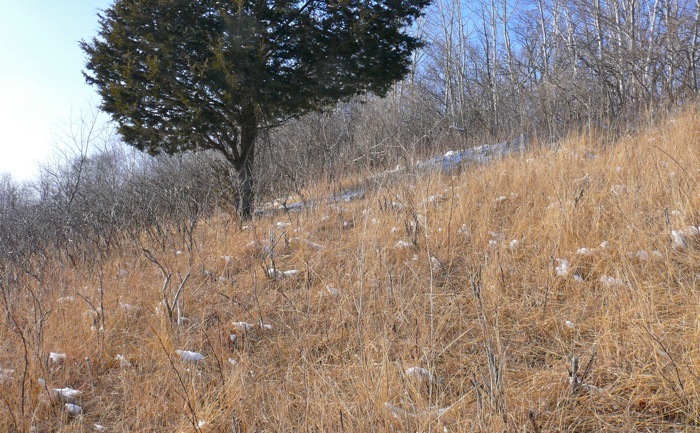 3/31/2009 All of our bluff prairies have these stunted Burr Oaks. 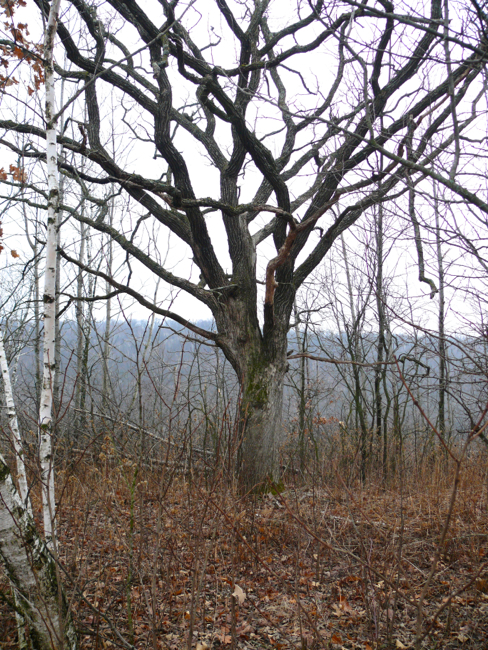 I think they’re old – I’d love to know how old – they get eaten down each winter by deer, and possibly other animals. 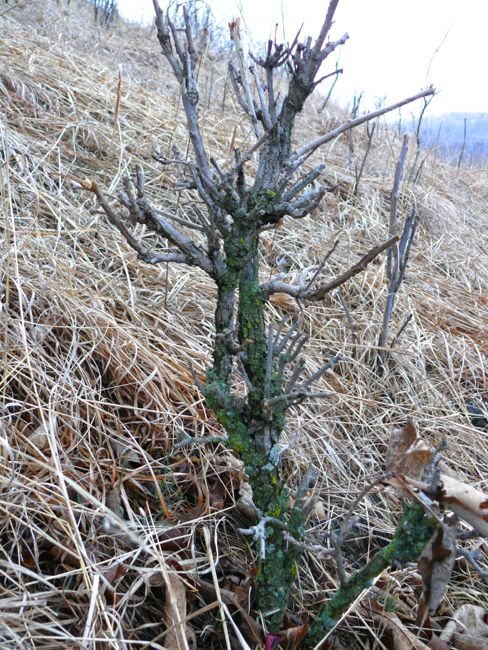 But they always put out new leaves in the spring, and the trunks continue to get thicker and more lichen-covered. 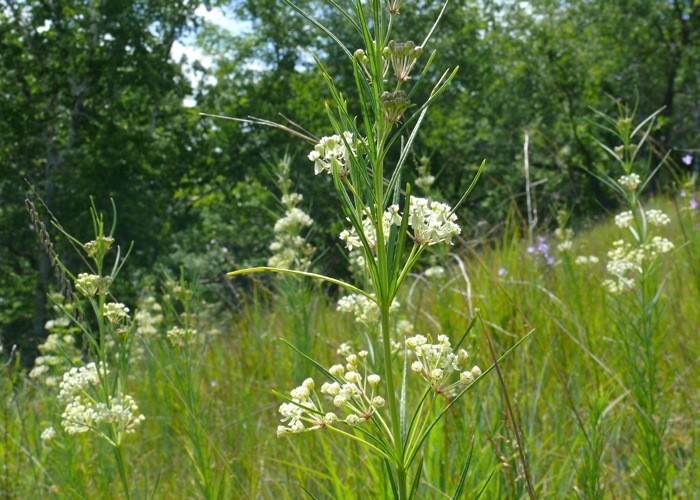 7/12/2009 – This year the bottom of the prairie slope was thick with Whorled Milkweed. 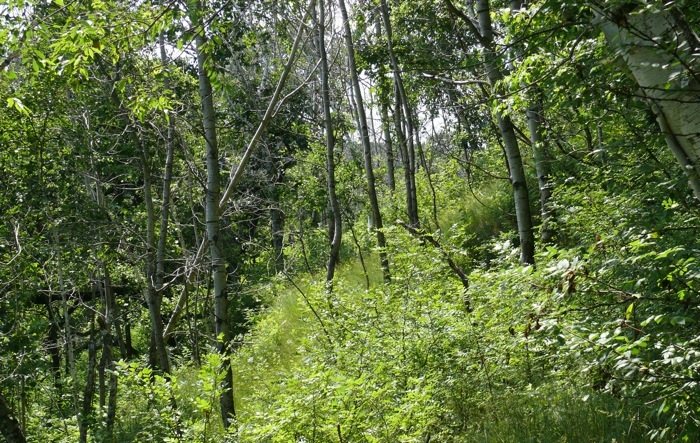 7/12/2009 This is the aspen woods, below Sumac Corner Prairie, where Arlene and I girdled trees in 2007. The aspens have nearly all died and some have fallen down. 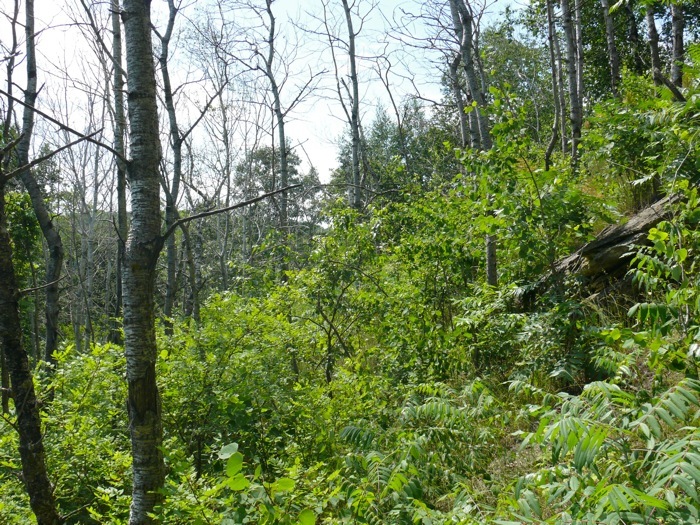 Now there’s an understory of Prickly Ash and Honeysuckles that I need to get rid of. 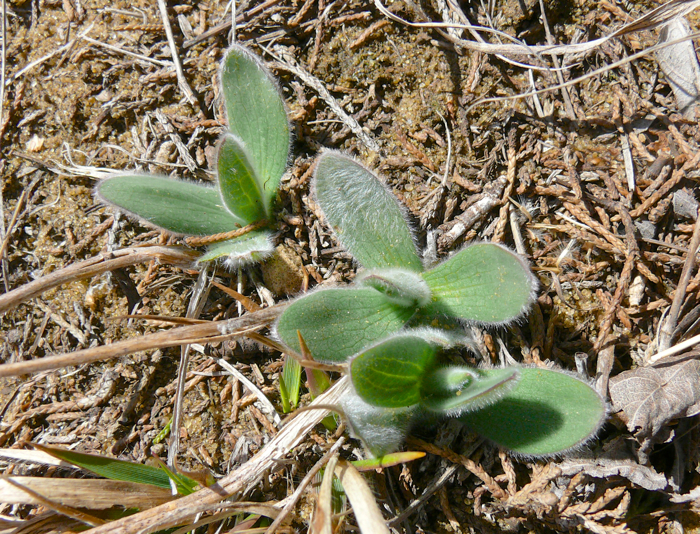 But there are prairie plants growing under it all. 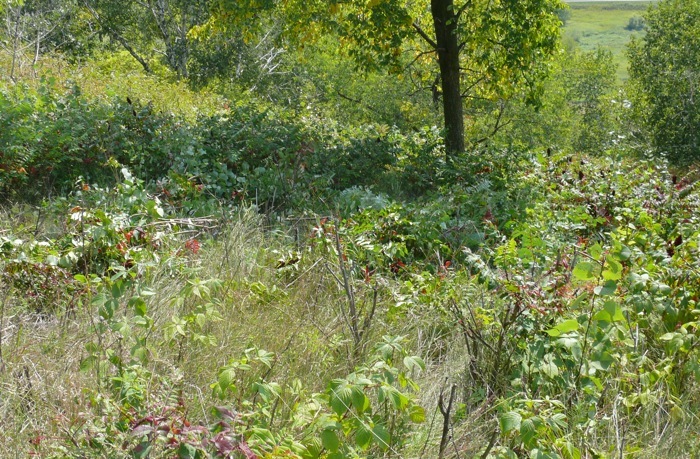 9/5/2009 This is the top of the prairie on the eastern side before I did any clearing work. 9/6/2009 The same area after I finished clipping and treating the stumps. 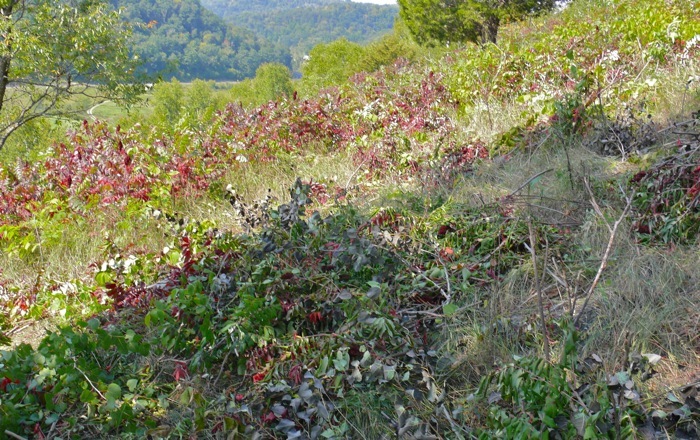 I tried leaving the cut sumac where it fell – to see if that would be a problem. It doesn’t seem to hurt the prairie. 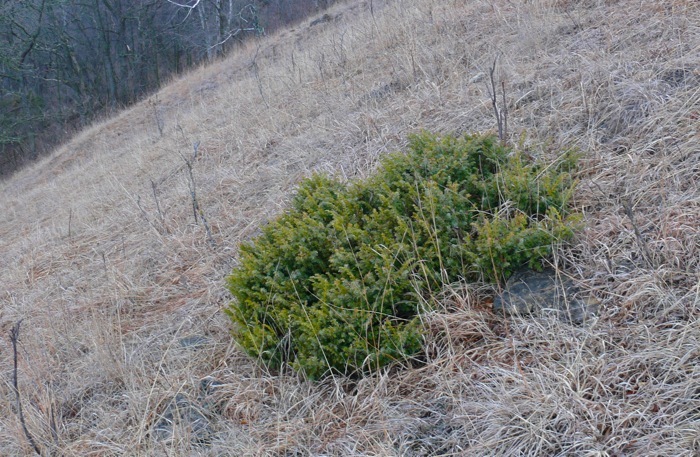 In a few weeks the leaves had all dried up, and over the winter most of the stems disappeared too. It might not work with larger plants, but these were only 1 to 2 feet high. 11/1/2009 This is the same area a few months later. Most of the debris has disappeared. 11/16/2009 The same area from a little further away.